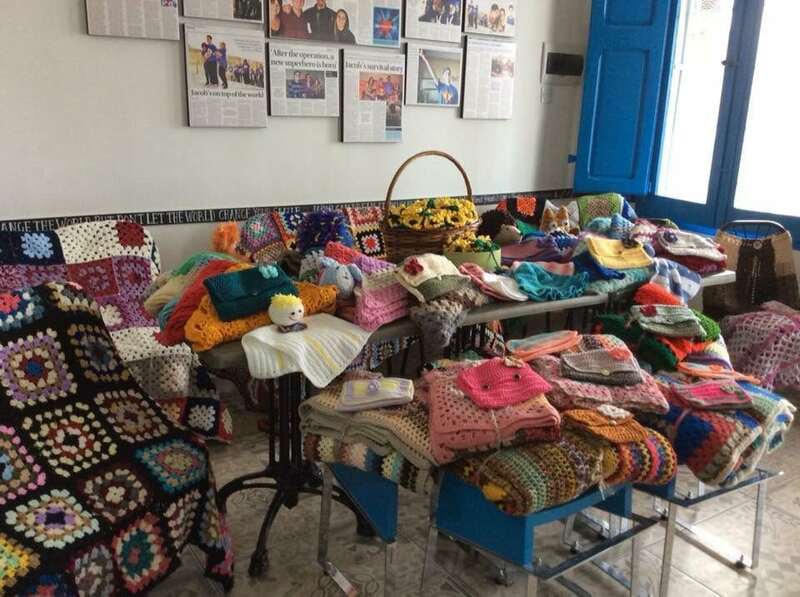 The CRAFT&COFFEE FOR CHARITY group of talented women craft crocheted items from wool donated by our patrons to give away to charity and needy causes. Craft&Coffee for Charity started off with a group of 5 ladies one October Monday morning… and our idea was to hopefully make 6 lap blankets to donate to the elderly in an old people’s home….today we are a group of over 25 ladies from all walks of life and all ages, with others coming and going as they please, all meeting up with the same scope…. 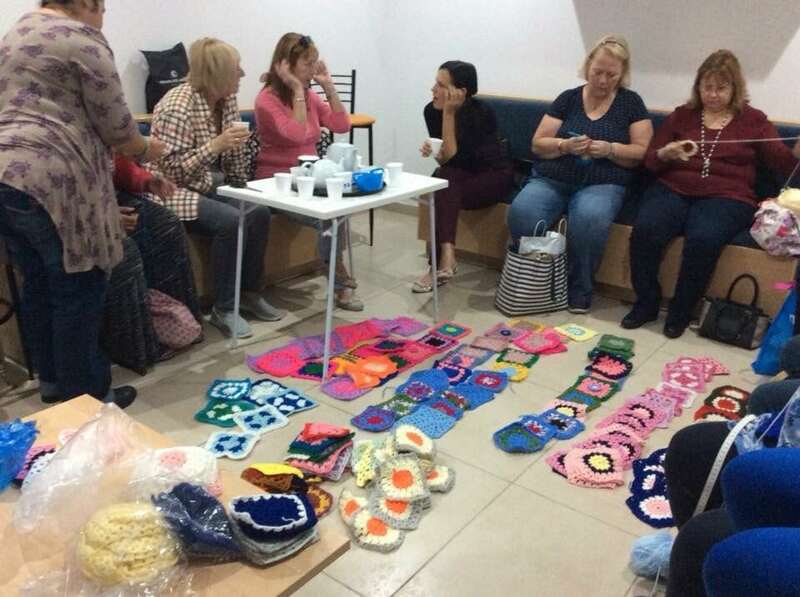 to enjoy our craft…make new friends….sip coffee/tea and sometimes cake or biscuits…and stitch up beautiful things to donate, thus bringing smiles and warmth to those receiving. 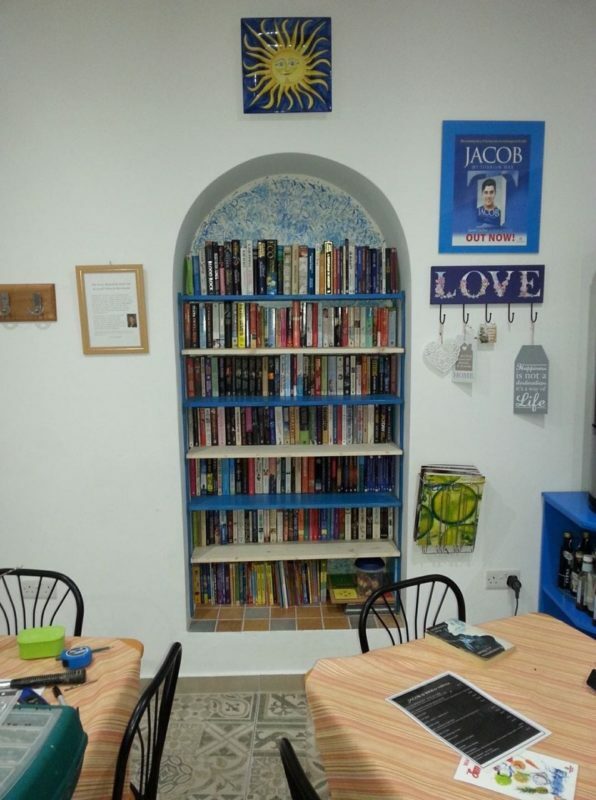 We meet in the hub of Jacob’s Brew – Pay It Forward Cafe in Marsascala….and how apt is that…because all the love we crochet comes from donated yarn, so we and you who have donated the yarn are all Paying Ir Forward in a big way. Follow us to find out who we manage to make smile with our beautiful handiwork…be it our elderly in various homes, the homeless, children in poorer countries, the residents in mental homes, Hospice Malta and Oncology ward patients, Survivors Malta and many more. Yarn is constantly being used and stitched up, so wool donations are always welcome, and these can be dropped of at Jacob’s Brew – Pay It Forward….many thanks and much love. Visit our page on Facebook! The BOOK CLUB encourages our patrons to borrow, swap and donate books at the shop. Open this link to watch a READ WITH ME sessions held at the shop, encouraging young children to sing and read.